The CubeX 3D printer is developed by 3D Systems and uses Fused Deposition Modeling (FDM) technology. The printer works on Windows and is a consumer, desktop 3D printer. The CubeX comes with 10 free 3D models for printing. Users can also purchase models in the Cubify Store or design your own models. 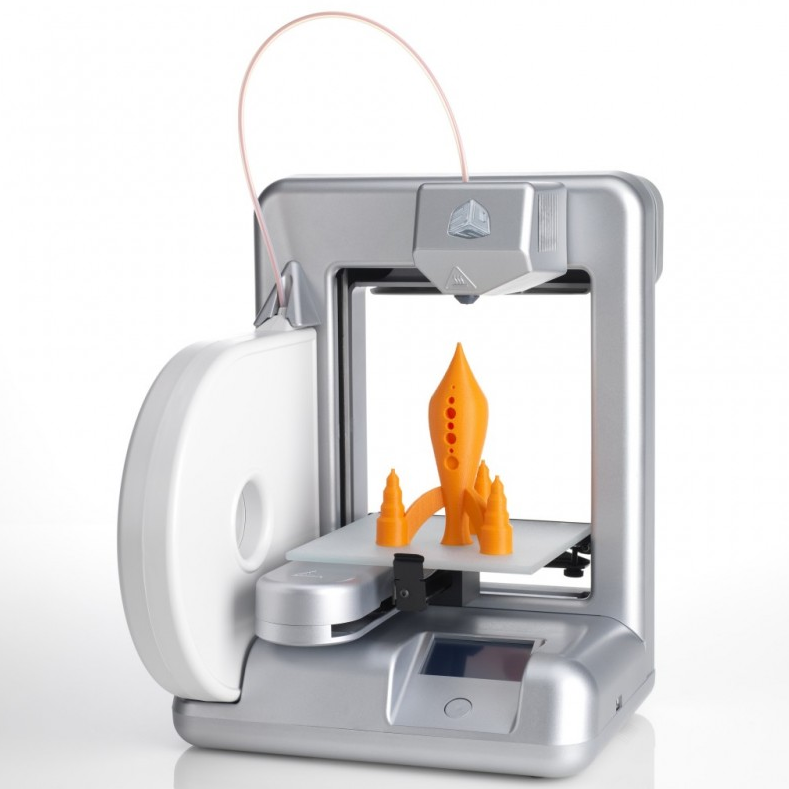 Cubify Invent, which is a 3D modeling software, comes free with the printer. First, the user creates a 3D model using 3D modeling software and saves it as an STL file. The file is sent to 3D printer’s interfacing software, which slices the model into sections and determines how each layer will be printed. The model is sent to the printer. ABS or PLA plastic filament extrudes through a heated nozzle layer by layer until the part is complete. You can build objects up to 10.8 L x 10.45 W x 9.5 H inches with resolutions of high definition: 100 microns, crisp definition: 250 microns, or standard definition: 500 microns. The CubeX uses ABS or PLA plastic placed in cartridges and can print up to three colors at once. The cartridges are required. The CubeX software that comes with the printer can convert STL and CREATION files. OBJ and other files will need to be converted to STL for the CubeX software to read it.